Welcome to our blog! Here you can follow our store, and the happenings of downtown Howell. You can also expect to see more articles, how-to's, and fun Michigan content! If you know someone who loves the mitten state, here are 20 gifts for under $20 you need to know about. Take Michigan with you wherever you go. Find it here. Get this classic Michigan made treat here! These candles smell just like the real thing! Buy them here. Find this beautiful, handmade soap here. So many fun and iconic Michigan scenes to choose from. Buy them here. Pure, Michigan maple syrup made in Charlevoix, MI. Get it here. Made with Sanders chocolate and Better Made potato chips, this seasonal treat is the best of both worlds! Get them here. The perfect little something for your favorite MSU or U of M fan. Find them here. A Michigan favorite. Buy them here. 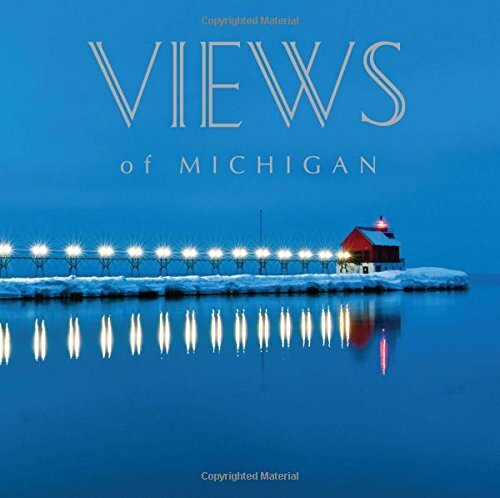 A fascinating collection of Michigan "views," Views of Michigan gives readers a glimpse into the beauty of Michigan seen through the camera lenses of local photographers. Find it here. Made with real Michigan cherries and packed with flavor. Find it here. Michigan made, Michigan shaped air fresheners with scents like "Blue Spruce" and "Michigan Christmas". Fragrances last for over a month! Find them here. The addictive, gourmet butter pretzels that melt in your mouth, and they're Michigan made! Get them here. A great gift for anyone with Michigan roots! Buy it here. A relaxing activity for both kids and adults. Get it here. Small "beach glass" soap pieces in a cute little pail. A perfect way to represent Michigan lake life. Buy it here. A countertop cookbook of U.P. recipes. Buy it here. Michigan imprinted mints made in St. Johns Michigan. Get them here. Find this magnet and more here.